The original Blair Witch Project was a cultural juggernaut, an explosive hit right out of the gate and on a minuscule budget. 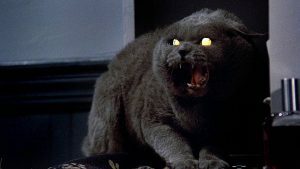 The movie put found footage horror on the map, and the conceit has survived to this day in various guises – adopted by indie filmmakers because they’re incredibly cheap to produce compared with conventional film. 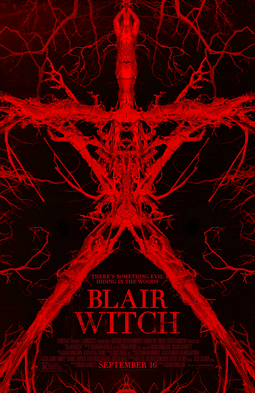 Blair Witch (2016) is It is the third film in the series ignoring the events of Book of Shadows: Blair Witch 2, which is probably for the best as that one was a real piece of crap. As for this one? Well, let’s say that Creep, Cannibal Holocaust excepting, there are few found footage flicks that we find compelling. So, we come in prejudiced. But to give ourselves credit, we went in hoping for the very best. After all, what else can you really do? A young man, James, and his friends venture into the Black Hills Forest in Burkittsville, Maryland to uncover the mystery surrounding his missing sister, Heather. Many believe her disappearance 17 years earlier is connected to the legend of the Blair Witch. At first the group is hopeful, especially when two locals act as guides. They set up camp, and then…things start to go haywire. On Rotten Tomatoes, the film has an approval rating of 35% based on 192 reviews, with an average rating of 5.1/10. That’s probably being charitable. Join us, folks, and subscribe to the Really Awful Movies Podcast!